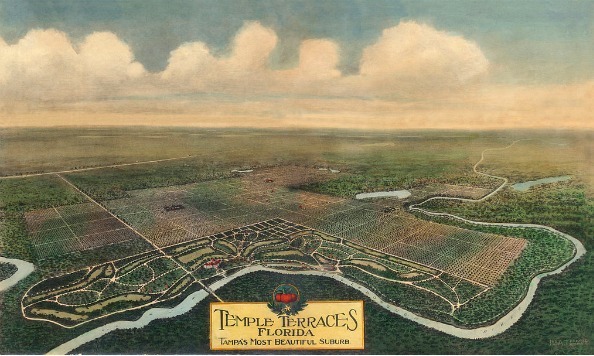 Temple Terrace is a city of 25,000 people snugged up to the northeast corner of Tampa. It was once a distinct and separate little village that has been engulfed over the years by Tampa and the development surrounding the University of South Florida to its immediate west. Like many Florida places, however, when you get off the main roads you will find it is still one of the most charming towns in Florida. The town was incorporated in 1925 and still has some of the greatest live oak trees of any place in the state. 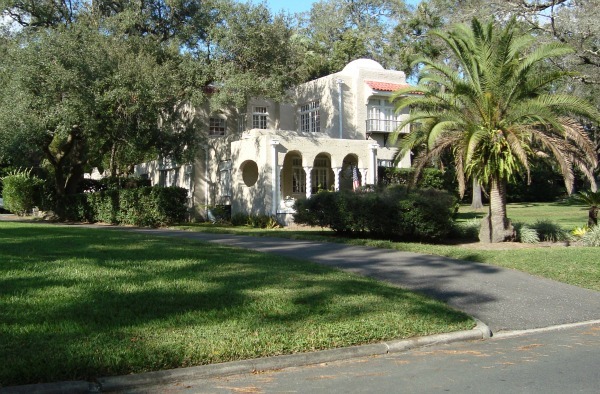 The city was planned and developed in the 1920s as a Mediterranean Revival golf course community and many of the original homes and buildings from that era are still prominent in the scenery as you drive around town. The city gets its name from the Temple Orange, named after William Chase Temple, who at one time owned the Pittsburgh Pirates and was the first president of the Florida Citrus Exchange. The terrace part of the name comes from the way the land along the Hillsborough River was prepared for the original citrus plantings. The largest orange grove in the world, 5,000 acres, surrounded the original development. The town was developed around the Temple Terrace Golf and Country Club. The layout of the golf course has changed very little since it was first built in the mid 1920s. It is a 6,414 yard par 72 course and the town is laid out so many of the homes have golf course views. The design is different than most modern golf course communities in that the front of the houses face the golf course fairways and greens because of the boulevard layout of the streets. Modern developments usually have the rear of the house facing the golf course because you can get more lots that way. The Temple Terrace Community Church is the oldest church in the city. 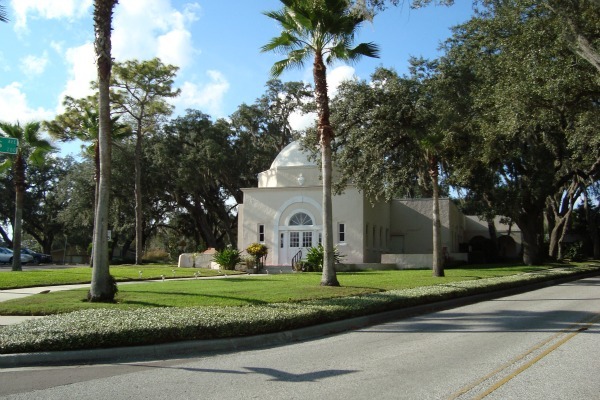 It was founded as the Sunday Church School back in 1941 and originally met in the old domed structure that was once the Temple Terrace Estates administration building. The old building at the corner of Inverness Avenue and Belle Terre Avenue was in bad condition and sat empty and boarded up throughout the Great Depression. The City finally offered it to the church who fixed it up and began using it as their place of worship. Many of the homes in Temple Terrace were designed by architects who were famous back in the 1920s, including New York City's Dwight James Baum who had designed John Ringling's mansion - Ca' d' Zan - in Sarasota along with several notable New York buildings. The plan originally was that wealthy northerners would have their winter homes in Temple Terrace and the rest of the year the place would be occupied by caretakers. 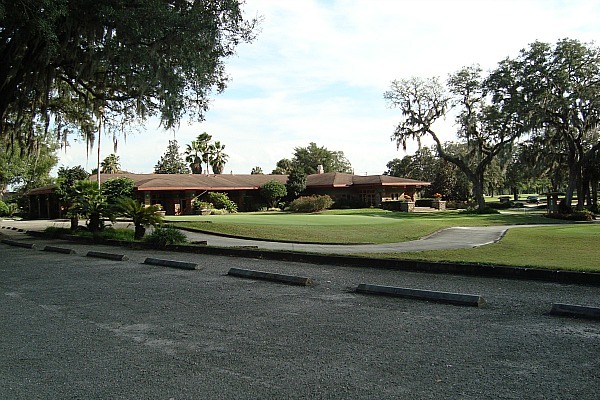 During the Great Depression, Florida Bible Institute bought the old original Temple Terrace Country Club clubhouse for back taxes. 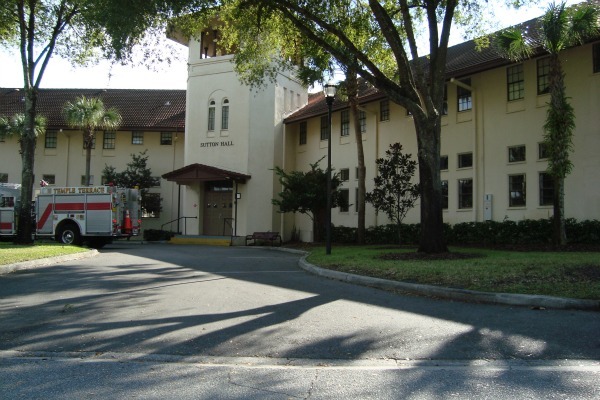 Over the years the institute evolved into Florida College, an private liberal arts college. The college has some of the city's oldest buildings, including the old clubhouse that is now known as Sutton Hall. The late Billy Graham attended Florida Bible Institute. In his autobiography he says that he received his calling from God on the 18th green of the Temple Terrace Golf and Country Club. Today there is a Billy Graham Memorial Park on the east side of the 18th green along the Hillsborough River. This small restaurant is on 56th Street, the busy corridor that forms the western boundary of Temple Terrace. It is in a busy little strip shopping center on the west side of the street. The entrance is not fancy, but neither is the great little restaurant inside. 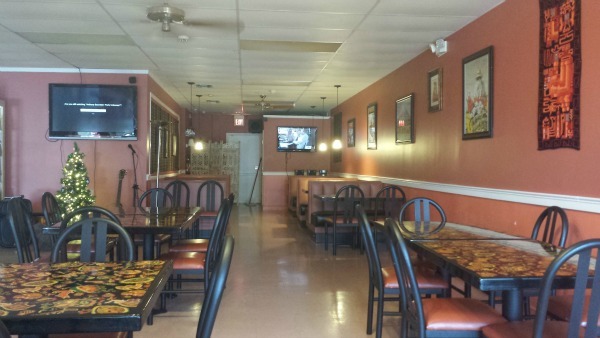 It is clean and friendly and the home of some great Peruvian food. It has only been in business since 2014 but has already developed a large base of fans who love to eat here. 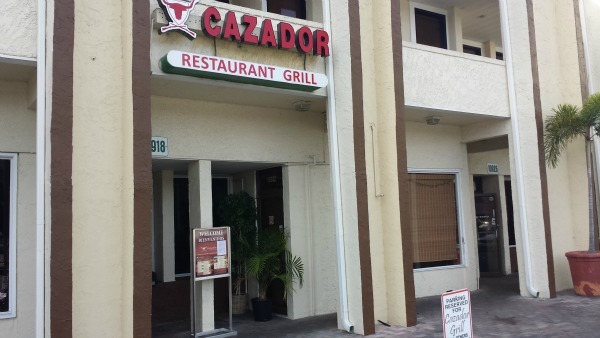 Cazador is a "Parrilla Peruana", or Peruvian Grill or Peruvian Steakhouse. A parilla is a grill used for cooking asado (barbecue) typical of South America. 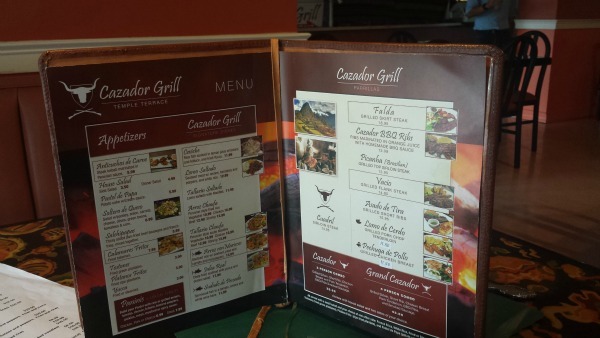 The menu here features a lot of grilled meats, including skirt steak, short ribs, chicken breast, pork tenderloin, chorizo, barbecue ribs and Italian sausage. Peruvian food features a lot of meat, but they also love their seafood dishes. Here you will find ceviche, sauteed fish, deep fried seafood including shrimp, octopus, fish and calamari. I had lunch recently at Cazador and enjoyed a rice based entree called Arroz con Mariscos. It was delicious and included shrimp, mussels, calamari, scallops, green beans, peas, carrots, red peppers. All of this was served with delicious rice and mildly spiced. I am a big eater and this was a big meal. Many of you will be taking some leftovers home with you. My server was Juan Underbakke, a poet born in Peru but raised in Norway and Iowa by adoptive parents. He gave me a copy of one of his books, "Ghost Dancing by Streetlight". Some of my professional poet friends tell me Juan has great potential as a poet. He was only helping out the Peruvian family who owns the restaurant, so you may not see him but if you're lucky you'll have a fine server like Juan.